The holidays are over and the wait for Spring is on. If you are gonna have the winter blues have them this way! There’s just something about this color and the snow that makes it even more crisp and clean and refreshing than it already is! 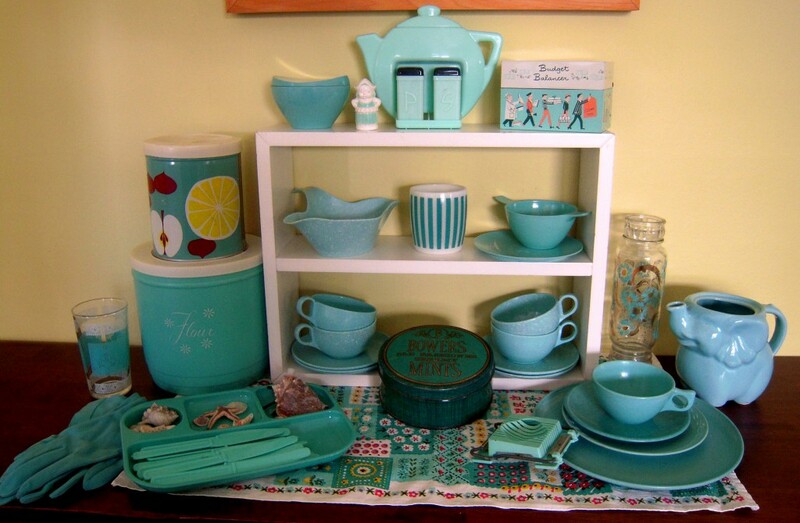 Plus it gives me a chance to bring out some of my favorite blue items from my personal collection, like the tea pot salt and pepper shaker holder and the budget balancer box! And just look at that elephant tea pot by Shawnee! SO cute, and available soon!!! I’m telling you, melmac is a gift. The easiest way to change a table out, besides the obvious tablecloth, is to have a stash of melmac for all seasons! Easy to stow away in a box without having to worry about breakage and available in so many colors and designs! You can snag these and other items on the table in my vintage shop http://www.vintagegoodies.etsy.com . Plus you can search my shop using the word blue to find other great winter blues items! 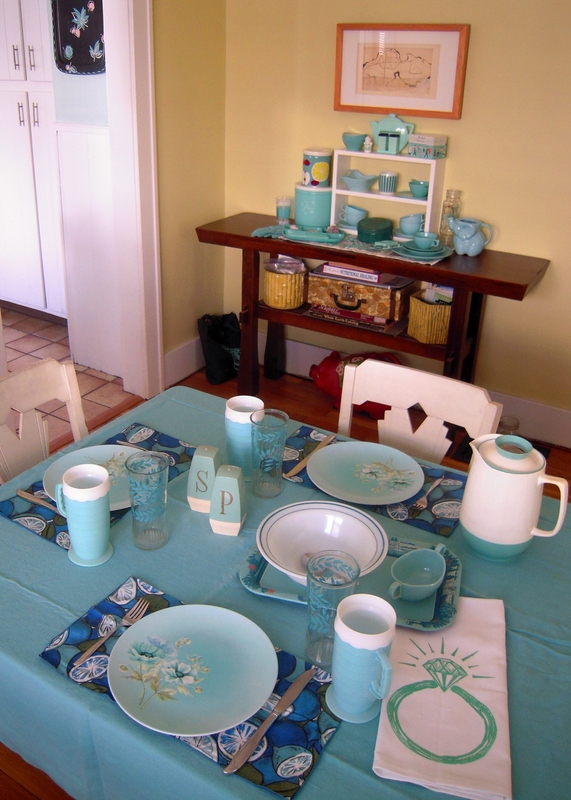 And last, but certainly not least, my artgoodies ring towel shines on in this table setting! Don’t you just love a monochromatic setting, so easy to mix and match all kinds of items together!! !